The endangered from extinction authohtonic population of the lynx inhabits the Southwest Serbia, Montenegro, Macedonia, Albania, Bosnia and Herzegovina and possibly the Strandzha Mountain area (Bulgaria and Turkey). Single species probably inhabit the mountains Malashevska, Osogovo, Vlahina and Kraishte. 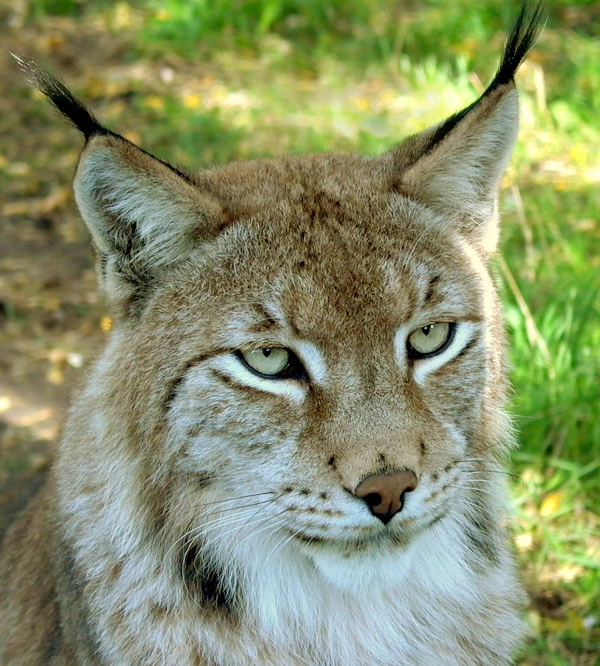 In fact during the 40s of the twentieth century the lynx was considered and extinct species but after 1985 more frequent reports were made for its appearance in the Middle Balkan Mountains, the Rila Mountain and the West Rhodopa Mountains, the Danube Plane and the Ludogorie, Ropotamo River and Strandzha Mountain. A lynx was seen south from the village of Stakevtsi, Western Balkan Mountain. Its presence was proven in this region in 2004-2005, and in 2009 also in Osogovo. It is presumed that these lynxes are part of the population that was formed in the past 20-25 years in the Eastern Serbia from the self-spread animals from the Carpathian Mountains, which probably numbers up to 30 individuals. The habitats of the lynx are the mountain forest areas. It prefers old natural woods and rocky places but it also hunts in the dwarf pine and the Alps areas. In search of a hunting territory and a partner the young animals, as well as older species in case the population becomes scarcer or in case of lack of food, can be seen in rather unusual places and they can take even far distant travels. The reproduction period is in February – March and the litter usually consisting of 2 or 3 siblings is born in May – June. The lynx mainly prays on deer, young wild boars and hares. Its feeding range also includes does and fawns, birds and rodents but sometimes the lynx attacks farm bred animals. Woolf is the main competitor and enemy of the lynx. The main factors which have a negative impact on the lynx population are the poaching, the reducing number of wild ungulates, the clearance of old forests and the fragmentation of their areas. In order to prevent the extinction of the species the clearance of old natural forests should be stopped and the protected areas in the Western Balkan Mountain, the Sredna Gora Mountain, the Western Rhodopa Mountain and the Pirin Mountain should be increased.